Looking For The Best Valrico Cosmetic Dentistry Practice? 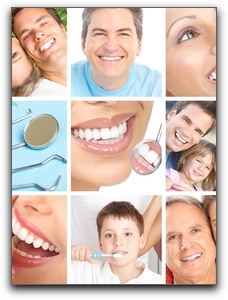 Looking For The Best Valrico Dental Practice? I am Jeff Bynum. I am currently accepting new patients at my elite dental practice which is located at 3203 Lithia Pinecrest Rd in Valrico Florida. I have been practicing preventative, restorative, and cosmetic dentistry since 1996. I am a member of KOIS. I promise you that the tooth restorations (dental crowns, dental bridges, porcelain veneers) we fabricate in our Valrico lab will look as beautiful as your natural teeth did at their best. Many of our Valrico cosmetic dental patients believe that their smile redesigns look far better than they had imagined. Don’t just dream about the smile of your dreams. At Five Star Dental Care, your Dream Smile becomes a reality. I look forward to being your Valrico dentist of choice. Call 813-653-2273 today to schedule an evaluation and learn what cosmetic dental services are right for you. This entry was posted on Friday, September 27th, 2013 at 4:59 pm	and is filed under Cosmetic Dentistry. You can follow any responses to this entry through the RSS 2.0 feed. Both comments and pings are currently closed.